If you are a lover of fine food and wine, then South Australia must definitely be on your hit list. This flavour-filled State has the perfect combination of climates, soils and topography that produce some of the world’s most sought-after wines and produce. 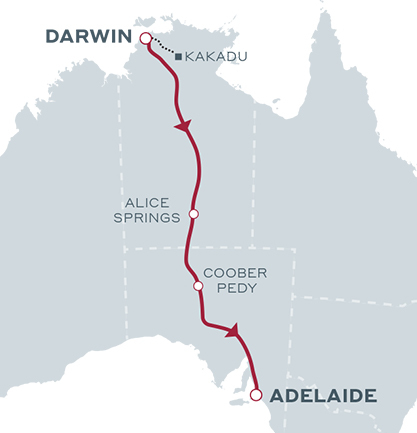 Explore the tropical city of Darwin. Visit the original Grange Cottage at Penfolds. See Penfolds underground cellars. Indulge in an exclusive selection of Penfolds’ most coveted wines. Discover the history of the Barossa Valley. Enjoy cellar door tastings.